Today, pretzels are a humble food. Simply, salty, and greasy, they are a fixture at ball parks and airports across America. But back in the day—like way back in the day, before baseball—pretzels were the food of royalty. By all accounts, the first pretzel goes all the way back to the 6th century, either to France, Italy, or Germany. And while the country of origin remains unclear, the first image of the pretzel makes it pretty clear that it was a important food, reserved for the fanciest and most lavish of parties. Consider the scene above, from the Hortus deliciarum. 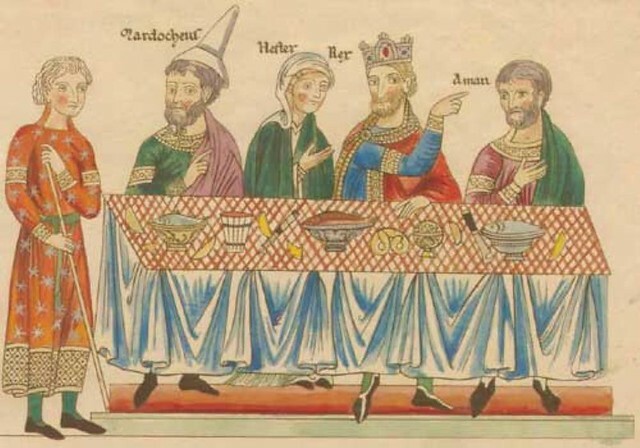 Look at how Queen Esther and King Ahasuerus are presiding over this v v lit Biblical party; their table is filled with fish, fancy cutlery, and a solitary, salty, badass pretzel. The Hortus deliciarum is an illustrated encyclopedia (the first to be compiled by a woman) from the 12th century containing the first known depiction of the pretzel. It gives us a glimpse into the cultural weight once occupied by everyone’s favorite baseball food. As we contemplate contortion, we might send sweet birthday greetings to Otto Y. Schnering; he was born on this date in 1891. Widely known as the “U.S. 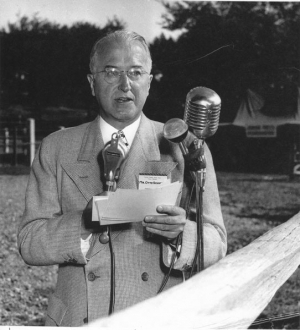 Candy Bar King,” Schnering harnessed his personal sales skills and understanding of advertising and marketing to build the Curtiss Candy Company in Chicago and the post–World War I United States chocolate candy industry into modern, successful enterprises. Schnering’s first confectionery creation (in 1916) was Kandy Kake, refashioned in 1921 as the log-shaped Baby Ruth (allegedly named after President Grover Cleveland’s daughter Ruth); his second, the chocolate-covered peanut butter crunch Butterfinger (1926).